The only way this is going to be my “New Look” is if I happen to “Fall” into a woodchipper. At least that way I won’t be caught dead in it — just strewn carelessly about in bits of bloodied flesh and a spray of wool-mohair blend. 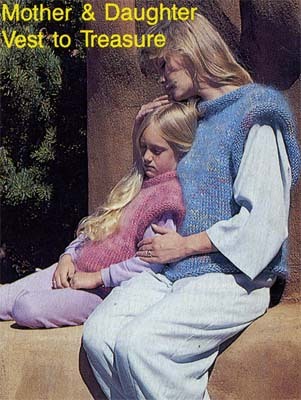 “Vest to Traumatize” might be a more accurate caption for this pattern. If any child ever needed a mother’s concerned hand clasped to her clammy skull, it’s apparently this poor little tortured towhead. This entry was posted on October 4, 2011 by croshame. 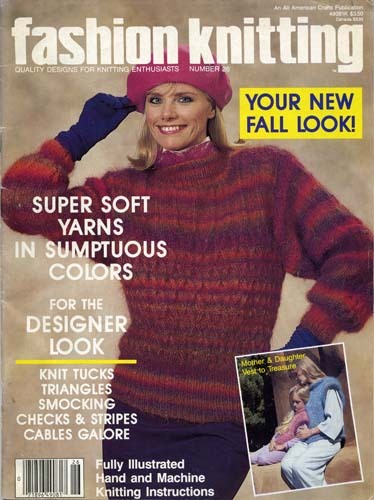 It was filed under Knitmares and Craftholes .